ISLAMABAD: Chief of Army Staff (COAS) General Qamar Javed Bajwa on Tuesday assured members of the Upper House of Parliament that Pakistan Army had no role in the Faizabad protest sit-in, and offered to step down from his position if the military’s involvement was found. The army chief made the offer during an in-camera briefing to the Senate’s Committee of the Whole over the security situation of the country and regional issues, including Pakistan’s participation in the Saudi-led Islamic coalition—a rare move that has been welcomed by members across the aisles of the house. The directors general of the Inter-Services Intelligence (ISI), Military Operations (DGMO) and Inter-Services Public Relations (ISPR) accompanied the army chief to the briefing. “The [Faizabad] sit-in reminded me of the Lal Masjid incident and I asked the Director General Inter-Services Intelligence (ISI) to hold dialogue with the protesters,” sources quoted the army chief as saying during the briefing. 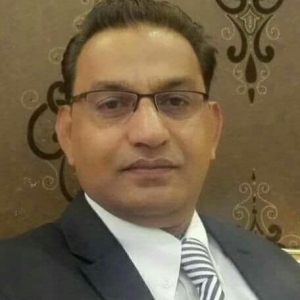 He was reportedly responding to Pakistan Muslim League-Nawaz (PML-N) Senator Mushahidullah Khan’s question relating to the protest by a little-known religious party that held Islamabad hostage for more than two weeks. “[Following the talks], it was revealed that the protesters [initially] had four demands, which came down to only one,” Gen Bajwa added. The source said that responding to other similar questions on political nature, the army chief frankly commented that the army had nothing to do with the political turmoil which was due to delayed and faulty response from the government itself. “Did army pull in issues like Panama Papers or Dawn leaks? We didn’t cause any of these issues. The government delayed these issues which resulted in political instability and chaos,” the source commented. The source added that when asked whether the army was supporting a presidential form of government in the country, the army chief candidly responded that the army firmly believed in 1973 Constitution and had nothing to do with the proposal for a presidential form of government. Gen Bajwa said that the Pakistan Army will continue to perform its duties per the constitution and support democracy in the country. A lawmaker told Pakistan Today, requesting anonymity, that spike in terrorist incidents across the country, especially in Balochistan, had links with Afghanistan. “Out of over 200 terrorist attacks, linkages of 125 have been found in Afghanistan. India is actively supporting the Baloch terrorists. Of late, RAW has pumped in billions of rupees to raise Baloch terrorists, and arms, ammunition and training are being provided to Baloch militants,” the source quoted the army chief as telling. The source added that, on the other hand, the Indian Army was also building pressure on Pakistan Army to keep them engaged on Pak-India border, so as Baloch militants could mount attacks into Pakistan from the Afghan border. “This year, we have registered 1,700 ceasefire violations on the Pak-India Working Boundary and Line of Control (LoC). This is the highest number of ceasefire violations since a ceasefire agreement was signed back in the year 2003,” the army chief said. Gen Bajwa said that Pakistan was doing its best to curb infiltration from Afghan border into Pakistan, and, out of its 5,30,000 troops, 2,30,000 troops were stationed on Pak-Afghan border. However, the source said that in order to block infiltration, the army was fencing Pak-Afghan border, and the federal government had provided Rs56 billion for fencing. “Besides fencing, we are also constructing 450 forts to fortify the border,” the army chief was quoted as saying. Gen Bajwa also told the MPs that Pakistan was not facing pressure from the United States of America, though there was a difference of opinion in some areas. “Americans need Pakistan. So no arm-twisting is taking place,” he clarified. Talking to Pakistan Today, Defence Committee Chairman Senator Mushahid Hussain Sayed welcomed the army chief’s briefing to the members of the upper house. “Today [was] quite a historic day in the parliamentary history. Any and every question was asked, and the army chief responded in a frank, upfront and straightforward manner candidly. It’s a good omen for civil, military relations,” he added. He said the frank answers by the army chief proved that he is a solid professional, who is quite frank and upfront. He even took tricky questions with a smile which is good news for Pakistan, he added. The Director-General Military Operations (DGMO) Sahir Shamshad Mirza, in his briefing, told the MPs that Pakistan had suffered heavily in the war against terrorism and 75,000 lives of civilians and law enforcers had been sacrificed. He said that Pakistan had suffered a loss of US$ 123 billion due to terrorism. He said that the briefing went on for an hour and a half, followed by a “very candid, very free, very frank, very objective” question-answer session. 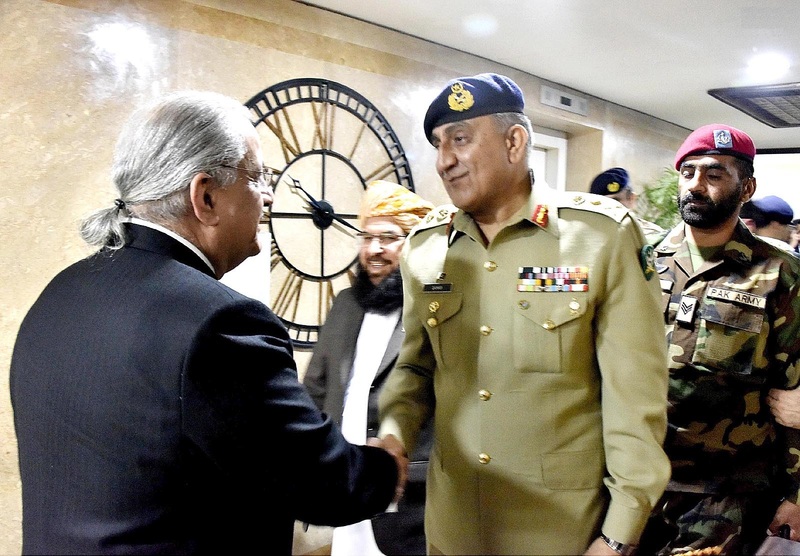 “The civil and military leaders reiterated to put in collective efforts to tackle terrorism,” said Lt Gen Ghafoor, adding that the Senate acknowledged the army’s role and sacrifices [in the fight against terror]. “When we are together, no one can defeat us,” the DG ISPR said. The military’s chief spokesman said that a detailed press conference will be held in the next few days to inform the media about the briefing to the senators. “It is a matter of honour for me to address an important parliamentary committee,” sources quoted the army chief as saying as he began briefing the Senate. According to sources, the army chief added that trips to certain countries were an important aspect of military diplomacy, and that the military was paying close attention to the geostrategic situation in the region. The Senate was told that the army chief’s visits to neighbouring countries had proved to help improve Pakistan’s ties with them. During the session, the military leadership told the lawmakers present that since their inception in 2015, military courts had managed to decide 274 cases and had awarded 161 death sentences. According to sources, the military leadership further said that 56 convicts had been executed in that time—13 before the launch of Operation Radd-ul-Fasaad and 46 since the launch of the operation. The lawmakers were told that since Gen Bajwa was appointed army chief, the military courts had received 160 cases, sources said. DGMO Maj Gen Mirza reportedly briefed the lawmakers on the action taken by security forces under Operation Raddul Fasaad, which was launched in February. Sources said that the DGMO told the Senate that since the launch of the operation, 1,249 combing and intelligence-based operations have been conducted in Khyber Pakhtunkhwa and the Federally Administered Tribal Areas (FATA). He added that 31 major operations have been undertaken in the region. The DGMO reportedly told the Senate that 13,011 operations have been conducted in Punjab—including seven major operations—whereas 1,410, including 29 major operations, have been undertaken in Balochistan, sources said. The DGMO added that 2015 operations were conducted in Sindh, including seven major operations. The DGMO said that 18,001 operations were conducted based on intelligence information. He added that 4,983 search-based operations were conducted and 19,993 weapons were recovered. According to sources, the DGMO also reportedly informed lawmakers that since the launch of the Rangers operation in Karachi in 2013, 8,780 suspects have been handed over to the police, 12,105 weapons have been seized and 1,948 terrorists have been apprehended. The DGMO said that 154 abductees have been freed from captivity and 154 kidnappers have been apprehended at that time. Furthermore, sources said that the DGMO reportedly told legislators that since the launch of the operation, 24 soldiers have been martyred. Strict security arrangements were put in place for the military leadership at Parliament House. The army chief arrived there via a helicopter and was welcomed by Senate Deputy Chairman Maulana Abdul Ghafoor Haideri. He held a meeting with Senate Chairman Raza Rabbani in the latter’s chambers before the two proceeded to the Senate hall. This is the first time in six years that the military leadership came to the Parliament House to brief lawmakers on the security situation. Last time it was in May 2011, when then army chief Gen Ashfaq Parvez Kayani and then-ISI chief Lt Gen Ahmed Shuja Pasha had briefed a joint session of parliament about the Abbottabad operation, in which al-Qaeda chief Osama bin Laden was killed by US forces. Earlier, in May 2009, then DGMO Maj Gen Javed Iqbal had briefed a joint sitting of parliament about the country’s security situation and the military operation in Swat. The decision to brief senators was taken voluntarily by the military leadership after seeing media reports about criticism in the Senate of the federal government and the military for not taking the parliament into confidence over recent security developments. The developments in question included the change in Washington’s policy towards Islamabad following controversial remarks by US President Donald Trump about the role of Pakistan in the war on terror, border clashes with Afghan forces and Pakistan’s role in a military alliance under Saudi Arabia. Last month, the Senate had asked the government not to make any commitment on the terms of the Islamic Military Counter-Terrorism Coalition without bringing it to the house’s notice. The matter was raised in the house just two days before Defence Minister Khurram Dastgir Khan’s sojourn to Riyadh for the formal launch of the military coalition. The 41-nation alliance was first announced by Saudi Arabia in December 2015. But key countries such as Iran, Syria and Iraq were not invited to join it, something that strengthened fears that the Saudi initiative was meant to target certain countries.